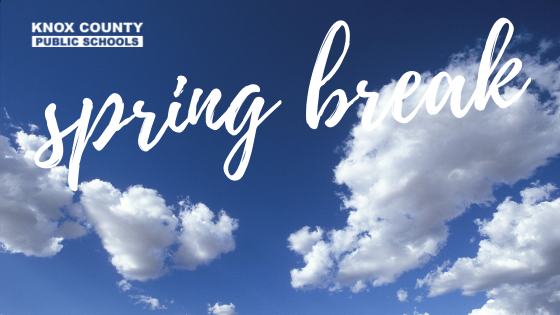 The Knox County Public Schools will be closed the week of April 1, 2019 for Spring Break. The break is set for the entire week, as the tentative plans in the academic calendar allowed for. School will resume on Monday, April 8. Inclement weather and illness have forced several school cancellations and non-traditional days this year. As of March 19, Knox County still has one remaining non-traditional day that can be used. The district is not yet able to announce the last day for students as each non-traditional day must be approved by the Kentucky Department of Education before the calendar may be amended.